I am a college graduate from the University of Tennessee at Martin, with a Major in Natural Resource Management with a minor in Criminal Justice. I am Post and Meth Lab Certified. I have been to Domestic Violence training and numerous other specialized schools to further my knowledge in dealing with issues related to our Sheriff’s Department. While working with the Carroll County Sheriff’s Department for the past twenty years, I have had the opportunity to serve my community in many capacities. I started as a volunteer in the Reserve Program before gaining full time employment as a jailor. I went on to hold the position of Road Deputy, Canine Deputy, Shift Sergeant, Narcotics Investigator and night shift supervisor. 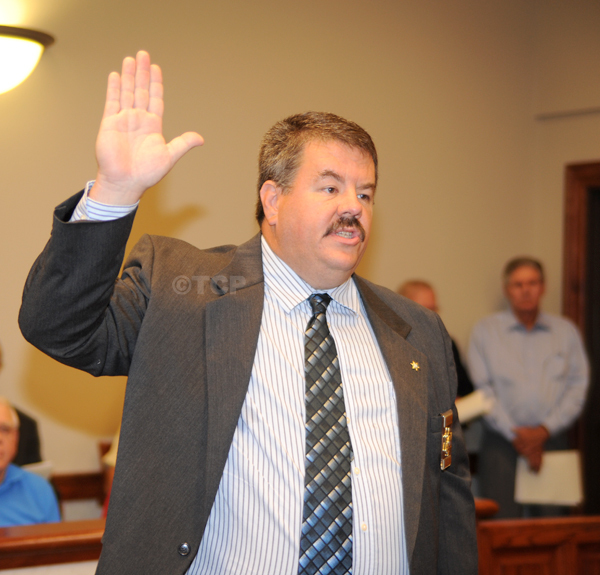 With this experience, I feel that I am best suited to handle the duties of Sheriff of Carroll County, Tennessee. I have an interest in the youth of Carroll County. I have three sons: Adam, 24, a graduate of the University of Tennessee at Knoxville and currently employed as a Human Behavior Lab Supervisor at UTK; Cole, 10, a fourth grader at Huntingdon Primary School; and Jacob, 7, and is a first grader at Huntingdon Primary School. I attend First Baptist Church in Huntingdon. My wife, Lisa, and I teach a fourth grade boys Sunday school class with another church member, and classes can reach up to 17 students sometimes. I have taken an active role in Vacation Bible School and as a member of the Security Team. I am enjoying serving the citizens of Carroll County. Thank you. 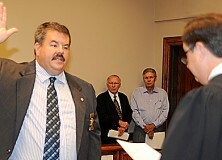 The Sheriff was elected in the fall of 2010.